I was scrolling through Instagram the other day and I was totally inspired by a coffee mug in a picture posted by the beautiful Jenny Ingram. I have no idea where she got the mug, but since we just made some chalkboard doors in the boys’ rooms, we had tons of leftover chalkboard paint. Couple that with the 8 plain white coffee mugs that came with our plain white Corelle dishes and you have yourself a project, sister! Now, in theory, these mugs are really cute and functional. However, in the interest of full disclosure I must tell you that the paint scratches right off. So this might be better left to the canisters and vases of the world. That said, they sure are cute! Not one to give up without a fight, I also transformed a commercial journal into my very own chalkboard notebook. I am happy to report that the finish on this book is here to stay. Win! Have you done any fun projects lately? We have the same dishes LOL I love this idea. Maybe if you spray over the paint with a type of sealer it will withstand the wash.
That gives me some ideas. 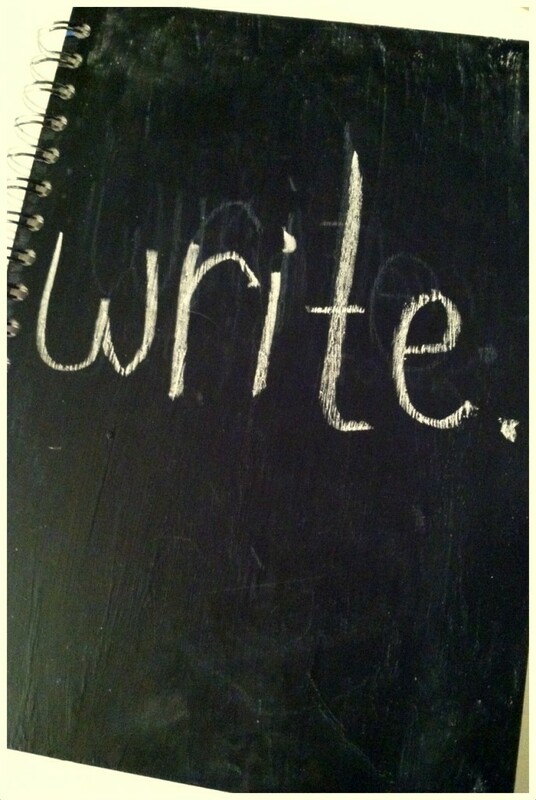 We have chalkboard paint sitting around. I could practically open up a paint store with the number of half-finished (half-full!) cans in our basement. I saw an entire wall of a house where they used chalkboard paint. 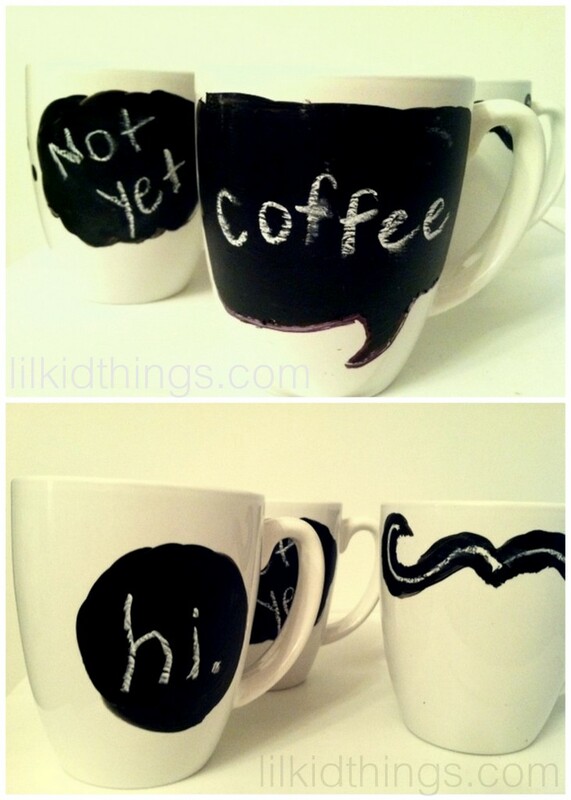 I love the idea of using it on things like mugs and canisters. Would make for a perfect rainy day project! Too bad the mugs didn’t work out. They were too darned cute. The journal looks like fun though. I like to doodle when I’m thinking. It helps me get creative.